Rev. Kenneth Adderley has served in ministry for more the seventeen years and is the founding Pastor of Temple of the Word Ministry. Pastor Adderley began his years in ministry at Faith United Baptist Church, Evangelistic Temple and Temple of the Word. He has served in every area of ministry as his area of gifting has been widely spread to name few, Deacon, Official Church Secretary, Sunday School teacher , General Conference Coordinator and he has served on the Executive Board of the Assemblies of God New Providence district. Pastor Adderley's quest for knowledge is seen through his studies. He has a Bachelors of Art Degree in Business Administration from Florida International University and Masters of Art Degree Christian Education at Atlantic Theological Seminary. His life vision is to establish a refuge center in the Bahamas for the homeless and rejected with the mandate to rehabilitate them to function effectively in society. This convicting desire has intensified during his eleven years of pastoring. He is the author of Taking the City and he continues to travel throughout the world whereever God would allow a door to open. Pastor Adderley is married to Mrs. Bernadette Adderley and they are blessed with two children Kennisha and Kyle. His mission statement for life is "I shall not be moved by what I see but only by what God says". Rev. Izetta Bain is the Senior Pastor of Westside Community Center where she has been pastoring for four years and she has served in ministry for the past twenty five years. This woman of God is very passionate about ministry and her call to it. God has gifted her prophetically, she is an intercessor and woman of fasting and prayer. She has served at both Calvary Temple and in full time ministry in Eleuthera as she pastored Full Gospel Tabernacle. She has a passion to mentor women and children as she see's herself as an encourager. A women ready for the task ahead, Rev. Bain is an encourager. Having studied at Atlantic College and the Assemblies of God Bible College Rev. Bain is more than equip to reach the world as it is her mission to reach the lost by ministering to the world. God has blessed her with three children and five grand children. She is presently serving as the Grand Bahama District Treasurer. Pastor Eric Brown has been in ministry for more than twenty two years and is the proud pastor of Faith Assembly where he has been pastoring for the last four years. Before pastoring he served at Bethany Assembl , Rev. Brown has a servant's mind and therefore he has served in the areas of Deacon, Elder, Bus driver, Sunday School Teacher , Royal Rangers and Youth Pastor. His area of gifting is Evangelism as God has given him a heart to reach the lost. He has equipped himself to be a twenty first century leader having obtained an Associate Degree from the Assemblies of God Bible College in Nassau Bahamas, Bachelors of Art Degree in Theology from the Caribbean School of Theology and Masters of Art Degree in Broad Theology from Global University. Rev Brown's vision for ministry is to see persons develop to their full potential in ministry and the salvation of souls. He believes strongly in family and so while God has called him to reach and touch lives it is also his mandate to reach his personal family helping them to achieve their goals and life dreams. He is blessed with a wonderful life partner Mrs. Cheryl M. Brown and they have seven wonderful children. Rev. Franklyn Burrows has served in ministry for over fifteen years. He pastored in Long Island one of the Islands in the Commonwealth of The Bahamas for eleven years at First Assembly and for two years at Evangelistic Centre in New Providence. Rev. Burrows is well trained in all facets of ministry, youth, choir, men's ministry, evangelism, Sunday school and he served as assistant youth director. A well trained clergyman he attended Caribbean School of Theology where he obtained a Bachelors degree in bible and a Masters of Art Degree in ministerial studies from Global University Springfield Missouri. Rev. Burrows is currently serving at Faith Assembly his life vision is to live according to God's word. He is married to Mrs. Paula Burrows and they are blessed with three beautiful girls. Ministry is apart of who Rev. Burrows is and it is his greatest desire to lead others in a full knowledge and relationship with God. Rev. Dr. Vaughan L. Cash was born in the city of Nassau, on the island of New Providence, on the fifth day of September in the year 1957. He is the fourth child and second son of Mr. Joseph Cash (deceased) and Miss Lorna Knowles. In September of 1978, at the age of twenty-one, Dr. Cash received Jesus Christ as his personal Savior and Lord. Although he spent most of younger years growing up in Calvary Bible Church on Collins Avenue in the city of Nassau, he made a personal commitment to Jesus Christ at that time. It was while witnessing and preaching on the streets of New Providence that Dr. Cash received the call to further prepare himself for the Gospel Ministry. In obedience to this Divine call he enrolled in Daystar Bible College in September of 1980 to begin his formal training for future ministry. It was also during this time that he met the lovely Miss Wendy M. Watkins who became his wife on July 17, 1982. In June of 1985 Dr. Cash stepped out in faith and pioneered a new Church which was called Grand Bahama Christian Center. After establishing G.B.C.C. and serving as its founding Pastor until June of 1989 he and his family returned to the city of Nassau where he ministered as an Evangelist and later joined the teaching staff of Kingsway Academy as a Religious Studies teacher. In March of 1993 Dr. Cash started attending Evangelistic Temple located on Collins Avenue at Fourth Terrace in Centreville and became an official member on Sunday, 5th of June, 1994. In August of 1995 he was invited by Rev. Dr. Gary V. Curry, Senior Pastor of Evangelistic Temple to join the Pastoral staff of the Church in the capacity of Associate Pastor. He now holds the position of Senior Pastor. Dr. Cash has served Evangelistic Temple as Senior Associate Pastor for the past fourteen (14) years and played an integral part in the overall ministry of the Church with emphasis on Preaching, Teaching, Ministerial training, Counseling, Broadcasting and Administration. In August 2012, Dr. Cash was installed as the Senior Pastor of Evangelistic Temple. He is also the Chairman of the Official Church Board as well as the Temple Christian Schools Board. He is a graduate of Daystar Bible College where he obtained a Diploma in Biblical Studies, and also a graduate of Christian Life School of Theology where he obtained his Bachelor of Theology, Master of Theology, Master of Divinity, and Doctor of Ministry degrees. On November 23, 2010 Dr. Cash was appointed a Justice of the Peace for The Bahamas. Dr. Cash and his wife Wendy have been married for the past 30 years and are the parents of three children, Abigail, Atalia, and Vaughan. Rev. Collie serves as Senior Pastor of Bethany Assembly. He also serves as a lecturer at the Assemblies of God Bible College and as General Presbyter. Rev. Collie received ministerial credentials from The Assemblies of God in The Bahamas including the Turks and Caicos Islands in 2003, and later received licensed and was received as an Ordained Minister in May 2007. Under his leadership as Pastor of Bethany Assembly, the church saw the formulation of new ministries including Royal Rangers, Missionettes and the Transforming Word, a bi-weekly radio program. His passion and commitment to the holistic development of our youth has inspired the relaunch of the youth department, the formation of the youth choir, (New Season), and the drama ministry. In addition, existing ministries have been strengthened and revitalized. Rev. Tamecko Collie and Lady Collie are the proud parents of three: Antonio, Joel and Baby girl Karis. Rev. George Cooper is the founding pastor of Living Waters Assembly where he pastored for some twelve years. Rev. Cooper is presently serving as an Elder at Calvary Temple as he continues to touch lives for the kingdom of God. Elder Cooper served at Evangelistic Center from 1968- 1977 and at Calvary Temple from 1977-1990 in his earlier years. Elder Cooper is also a retired Police officer with the Royal Bahamas Police Force and Deputy Controller of Road Traffic and Assistant Commodore of Police Reserve. His career was more than a job it was a vehicle that allowed him to travel through out Europe, the United States of America and the Caribbean Countries like Jamaica. It was during these opportunities that God created an International platform for this Evangelist to preach and teach the word of God touching and changing lives. Today though he is retired his passion is vibrant and still felt amongst the body of Jesus Christ. He is happily married to Mrs. Joan A. Cooper and they have five children, eighteen grand children and three great grand children. Elder Cooper is always humbled as he never forgets that his life is a testimony. He lives his life believing that 'if he can help somebody as he travel on then his living will not be in vein. Rev. Robert Cornea has served in ministry for over forty four years in the areas of missions, evangelism, youth work and community outreach. He served as Director of Abaco Youth Camp, National Sunday School Director and Presbyter for the Abaco District. He attended South Eastern Bible College in Lakeland Florida and he embraces every opportunity to enhance himself in order to be a blessing to the body of Christ. Rev. Cornea is married to Phyllis Cornea and they are blessed with two children and five grandchildren. Born March 6, 1935 at Spanish Wells, Bahamas, Reverend Curry was converted at the age of eighteen years and soon after began his ministry for the Lord on the streets and parks of New Providence. Evangelistic Centre Church was started as a result of these street meetings. On April 5, 1957, a confident and youthful Gary married the elegant and gracious Myrtle Kemp and shortly after that time, in 1958, he and his new bride took up their first pastorate in Rock Sound, Eleuthera. Reverend Curry along with his wife and two young daughters, returned to Nassau in 1962. Recognizing that Rev. Curry was called of God, the voting body of the Assemblies of God in the Bahamas elected him as Superintendent in the summer of 1962, a position he held for seventeen (17) years. His tenure as Superintendent was a busy one. He pastored the church at Hope Town, Abaco, a church he helped to establish, assisted in establishing the churches in Sandy Point and Marsh Harbour, Abaco, and the Youth Camp in Abaco. During his term as Superintendent, the Assemblies of God Bible Training College was opened. Churches were also established in Freeport, Mastic Point, Andros, and Golden Gates Assembly in Nassau. The call of God upon Pastor Curry's life was further fulfilled when in 1978 he accepted the pastorate of Evangelistic Temple, a position he held, for thirty-two (32) years. Under Pastor Curry's guidance, Evangelistic Temple has become a vast ministry encompassing peoples from many communities in New Providence as well as immigrants from over thirty countries. 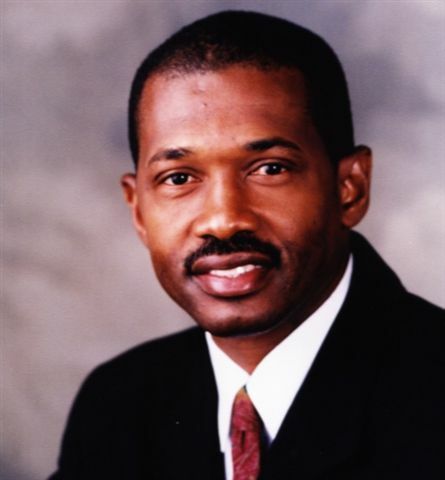 Pastor Curry's numerous accolades include, among others, the following: the Assemblies of God in The Bahamas award for 17 years of exemplary service as its Superintendent; the Richmond Virginia Seminary conferred upon him an Honorary Doctorate of Divinity Degree on December 12, 2001; the Bahamas Faith Ministries Leadership Summit award for Outstanding Leadership in 2002; the appointment of Justice of the Peace of the Commonwealth of The Bahamas on February 4, 2003; and the William J. Seymour Award in recognition of his outstanding contribution toward the advancement of the Pentecostal Movement in The Bahamas on April 28, 2006. A 1996 graduate of the Caribbean School of Theology, and a Bible teacher at the Assemblies of God Bible College; Pastor Curry has a burden to see the people of God live practical, observable Christian lives within their communities. He has a shepherd's heart for the lost and dying and sees the church as a 'haven of hope' where love, forgiveness, joy and peace can be found. Among Pastor Curry's greatest pleasures is celebrating the joys of family life with his wife, Myrtle, and his children Patti and Sharon, his sons-in-law, Barry and Damian, and his two granddaughters, Paige and Cherish. seeing that he engaged in a lifestyle of selling drugs, drinking and fornication. After coming to know the Lord at age 16 Pastor Bruce began his seek for more of God at Evangelistic Center where he led the children's choir and perched many services. Pastor Bruce desired more and studied at the Assemblies of God Bible College. He then relocated to the former Trinity Assembly where he served Apostle Ed Watson for more than eight (8) years. At his time there he traveled hosting many street and revival services were many came to know the Lord. Pastor Bruce traveled to Ohio State where he obtained his Associate Degree in Christian and Pastoral Care. He served as Senior Sales Manager at F-Rich Trading for many years as well as Manager at Commonwealth Drugs for a short time. In was in during his time while serving at Living Waters Kingdom Ministries in 2008 with his wife at his side and the call to souls Pastor Bruce persuaded the call as a Pastor and started New Birth Kingdom Center which is presently New Birth Church. The Ministry has grown from zero members to more than 100 and counting. After much payer, Pastor Bruce and the family of New Birth Church officially joined the Assemblies of God in the Bahamas including the Turks and Cacios island on July 28th, 2013. He is married to the former Sheniqua Terrell Paul and they are blessed with two wonderful gifts Shamiah and Samara Davis. Rev. Carlton Dorsette has been in ministry from 1980 to present day he is a Justice of the Peace, Marriage Officer and a Civil Activist. Pastor Dorsette has served in every area of ministry both locally and internationally. He has served in missions in Nicaragua; he was involved as a civil rights activist, community outreach, prison ministry and Cross over Communication International in Freeport. He attended the Assemblies of God Bible Institute in the 1980's in Abaco and he continues to embrace every opportunity to learn and expose himself to ministry. He has been blessed with a wonderful life partner Mrs. Sharon Williams Dorsette and they have been married for twenty nine years, and they have two sons. Pastor Dorsette's vision is to be the voice of the voiceless as he is passionately driven in the area of helping those who cannot help themselves. He believes that if we would love one another as God loves us then we would be doing real ministry. Rev. Keith Evans has been in ministry for over thirty years his ministry of evangelism has touch many lives through out the length and breathe of the Bahama Islands. He was a pastor for fourteen years at First Assembly Marsh Harbour Abaco. Rev. Evans believes that the family, church and community have been called together to work on behalf the kingdom of God. He believes in nation building and spent many years working in ministry at the Abaco youth camp and Sunday school. As his desire for ministry grew he found it necessary to study professionally both at home in Abaco and in Dallas Texas at Christ for the Nation Bible College. God has blessed him with a beautiful life partner in the person of Rev. Una Christine Evans and their three children whose life is a gift to them from God and six adorable grand children. Rev. Keith Evans life mandate is to follow Christ as in every area he calls him to. Rev. Una Evans has been in ministry for more than fourty years her love for God and his People has given her a sense of fulfillment. She has ministered through out the Island of Abaco sharing the message of Jesus Christ to the community at large and women conferences locally and abroad in particular First Assembly Kentucky. Rev.Una Evans is passionate about the area of evangelism she served at Gladtidings Tabernacle and First Assembly. She attended Bible College both in New Providence and Abaco. The Lord has opened many doors for her and she remains forever grateful. It is her desire to see more of the glory of God in the house of God. Her area of evangelism has placed a desire to help those who cannot help themselves. God has gifted her with a wonderful mate Rev.Keith Evans and this union has been blessed with three children and six grand children. She finds strength in knowing that she can do all things through Christ who strengthens her. Rev. Cedric Hall is the Pastor of Faith Tabernacle Rock Sound Eleuthera he has served in ministry for over thirty years with his major focus being Evangelism. Rev. Hall completed his training in biblical studies in Eleuthera and has found a love for community out reach. It is his vision for the body of Christ to be on one accord as we allow the spirit of the lord to transform us. Rev Hall is married to Mrs. Winifred Hall and this union has been blessed with nine children and seven of whom are living. Pastor Cedric Hall is a community leader who loves the Lord and it is his greatest desire to see the body of Christ operate in the spirit of oneness. He has been in ministry for over twenty years and for the last three years he has pastured the wonderful congregants of First Assembly. Pastor Gibson has worked in every area of ministry but he is most passionate about evangelism. He is a very community minded leader as he enjoys reaching out to the families of Marsh Harbour, Abaco. He has served as National Youth Director of Assemblies of God and youth Leader at Calvary Temple Freeport Grand Bahama. Pastor Gibson believes that his life vision is to evangelize the world and to empower all men by helping them find their rightful place in God. He has an Associate Degree in Religious Studies and he continues to embrace all learning opportunities afforded to him. Pastor Deion Gibson is married to Mrs. Anette Gibson and God has blessed this couple with four wonderful children. It is his life mission to reach families but to first lead by example as he holds his own family dear. Rev. Neil Hamilton has served in ministry for the past twenty years in the areas of teaching, evangelism and administration. He finds pleasure and passion in serving in the areas of church planting, adult education and Sunday school. Rev Hamilton has a Diploma in Theology, Diploma in Education, Bachelor of Arts, Masters of Theological Studies and Masters of Ministerial Studies. A well educated and exposed leader whose gifting's are a blessing to the body of Christ. His life vision is to be used by God to bring about sustainable change in the field of Christian Education. He is happily married to Minister Katherine Hamilton and they are blessed with one of God's angels little Ka'Neil Hamilton. It is Rev. Hamilton's personal mission in life to attempt and expect great things from God. Reverend Ellen E. Henfield was born in Tarpum Bay, Eleuthera. She married Mr. Norma Henfield and this union is blessed with four children (one deceased but always remembered) and three wonderful grand children. She was appointed and installed as Pastor for Calvary Temple Assembly of God in Tarpum Bay on February 20, 1994; later on in May of 1996 she was Ordained a Licensed Minister in the Assemblies of God Bahamas Turks and Caicos. Pastor Ellen Henfield is a certified (graduated from UTECH in Jamaica and Cooperation in Canada) teacher at the Preston H. Albury High School and is the Moderator of the Student Christian Movement there. She graduated from Success Training College with an Associate's Degree in Business Administration in December of 2009. Her gift of leadership and corporation has been widely used in the community where she served on many boards and organizations. She is especially noted for the various posts that she has served in at the primary school in Tarpum Bay. On November 13, 2010 she was appointed as the full time director of the new Eleuthera Bible School in conjunction with Global University Springfield USA. Educated at Micro Teachers College, and the University of the West Indies in Jamaica. He was a secondary school teacher prior to becoming the Pastor of Community Fellowship Centre Church. Since he has been the Pastor, the church started a Creole congregation and a Spanish speaking congregation in Providenciales, TCI, and a church in Haiti. Also the Church has started a primary school, "Community Christian Academy". Pastor Handfield is adamant about equipping the saints to do the work of the ministry. His goal is to establish the first internationally accredited Bible School in the Turks and Caicos Islands. Rev. 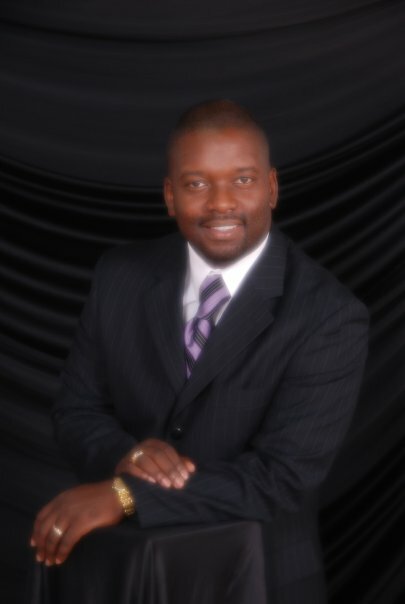 Terrence A. Jones Sr. Assistant Pastor Eternal Light Deliverance Center and Vice Principal of Eternal Light Academy. Born January 22nd, 1955 in Grand Bahama. Married 31years to Rev. Unay Jones; Two children Kokea (Jones) Malone and Terrence Jones Jr. one grand child Josiah. Served as Men's Director, then treasurer and currently Presbyter of the Assemblies of God G. B. District and member of the National Executive Committee of The Assemblies of God Bahamas including the Turks & Caicos Islands. Former P.T.A President and volunteer teacher at St. George's High School; Rev. Jones is a devoted and humble servant of God. Rev. Dr. Unay M. Jones, Pastor Eternal Light Deliverance Center was born in Nassau Bahamas, Married to Rev. Terrence Jones for 31years, she is the mother of two: Kokea (Jones) Malone, Terrence Jones Jr. and the grandmother of one: Josiah. Rev. Dr. Jones was the first District Women's President and first female District Presbyter for the Grand Bahama District. She is the former National Secretary for the Executive Committee of the Assemblies of God in The Bahamas Including the Turks and Caicos Islands. She is the Principal for the Assemblies of God Bible College Grand Bahama District and the Principal for Eternal Light Academy. Rev. Jones is the founder of Eternal Light Ministries and Eternal Light Deliverance Center where she has been Pastoring for 10 years. Rev. Dr. Jones is a License Counselor with the American Association of Christian Counselors (A.A.C.C). She obtained her Bachelor's Degree in Theology from Vision International University in 2004, her Master's in Christian Education from Vision International University 2006, Doctorate Science in Psychology from Belford University 2008 and her Doctorate in Christian Counseling from Jacksonville Theology Seminary 2009. Rev. Jones is currently enrolled in the College of the Bahamas to receive her teacher's certification with the Bahamas Government, completing March 2011. This hard working, compassionate woman of God believes that an idle hand is the devil's workshop. For over 20 years, Pastor Lockhart has been involved in ministry serving in many capacities: Youth Pastor at Evangelistic Centre, Youth Pastor of Calvary Temple, National Youth Director for the Assemblies of God Bahamas, Turks & Caicos Islands, Associate Pastor & Administrator, Bible School Teacher, Family Life Teacher, and Marriage Officer with the Government of the Bahamas. Currently, Pastor Lockhart is the Assistant Superintendent of The Assemblies of God in The Bahamas includig the Turks & Caicos and has been the Senior Pastor of Calvary Temple since September 2003. Pastor Lockhart has a Bachelor's of Arts Degree in Theology and is curretnly pursuing a Master's in Theology at Global University. Pastor Lockhart is married to Rochelle, and they have three sons: Raoul, Raphael, and Remez and an adopted daughter Nydia Dames. Together, this family serves the friendly people of Calvary Temple. Pastor Lockhart is a practical, dynamic Preacher and Teacher who believes that the Word of God should be preached with the anointing to bring transformation in people's lives. Rev. McKinney served in various areas of ministry as an usher, choir member, chaplain, treasurer of the Men Fellowship and Youth Pastor. Pastor McKinney was elected Abaco District Presbyter after the passing of Pastor Cecil A. Forbes. For a number of years Rev. McKinney served as an Associate Pastor at Full Gospel until 2008 when he became Senior Associate Pastor after the retirement of Pastor Joseph Norris. On October 2, 2010, Rev. McKinney was officially installed as Senior Pastor of Full Gospel Assembly, Treasure Cay after the retirement of Senior Pastor, Rev. Stafford Symonette. A Contractor by profession, He met and married the former lovely Babradella Cox and is blessed with four children Paulette, Ralanda, Simpson III and Nathaniel. Vernon Moses was born in the beautiful Island of Green Turtle Cay, Abaco and later moved to New Providence with his family. During his early years, he attended the Sacred Heart Grade School and St. Augustine's College respectively. Following his love for business and accounting, he earned various accolades and certificates while working in this field for over 17 years. Later, after receiving the Lord Jesus Christ as his saviour in 1948, he responded to God's call on his life and became an ordained minister in 1959. Being an astute student of the word of God, he went on to earn Bachelor of Arts Degrees in Religious Education and Christian Education. Rev. Moses commitment to ministry has spanned more than four decades and as such he has served in various capacities. He has served as Pastor of Faith Tabernacle and Calvary Temple in Eleuthera, pioneered the work at Golden Gates Assembly, established several other churches including, Bethany Assembly, Abundant Life and Living Waters in Grand Bahama, First Assembly in Long Island as well as the churches in treasure Cay Abaco and the Turks and Caicos. As an Executive of the Assemblies of God, he served as General Superintendent, Presbyter of Eleuthera, General Presbyter, Secretary and Treasurer. Also as the Deputy Chairman of The Caribbean Fellowship of Assemblies of God Executive, as a member of the Caribbean School of Theology board, and as the Director, Academic Dean, and a lecturer of the Assemblies of God Bible College. Rev. Moses is a strong advocate of a disciplined Christian life, that is grounded in prayer and the word of God. He is married to the former Lorna Sawyer and they are blessed with two children: Timothy Moses and Mary Moses Mendez, one son in law Joseph Mendez, one daughter in law Lana Moses and one grandson Zach Moses. Rev. Kermit Mullings has served in ministry for twenty five years and has been pastoring Abundant Life Church for the past seven years. Having served in several areas of ministry he is a leader who leads by example. The gift of reaching people has foster a great passion for evangelism as he enjoys working with young married couples and their families and the community at large. Pastor Mullings has both spiritually and socially equipped himself to be an effective leader through attending the Assemblies of God Bible College and the Caribbean School of Theology. He is married to the lovely Mrs. Valerie Roach Mullings and this union has been blessed with five children and five grand children. It is his life's mission to " build families and develop healthy Godly people into the family of God. Rev. 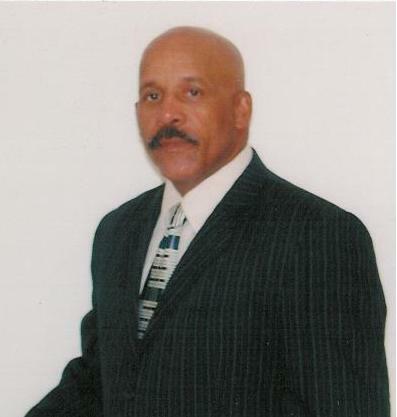 Joseph Norris has served in ministry twenty nine years and he served as an Associate Pastor at Full Gospel Assembly. During his tenure he served as Sunday School Superintendent, and Director of Christian Education. 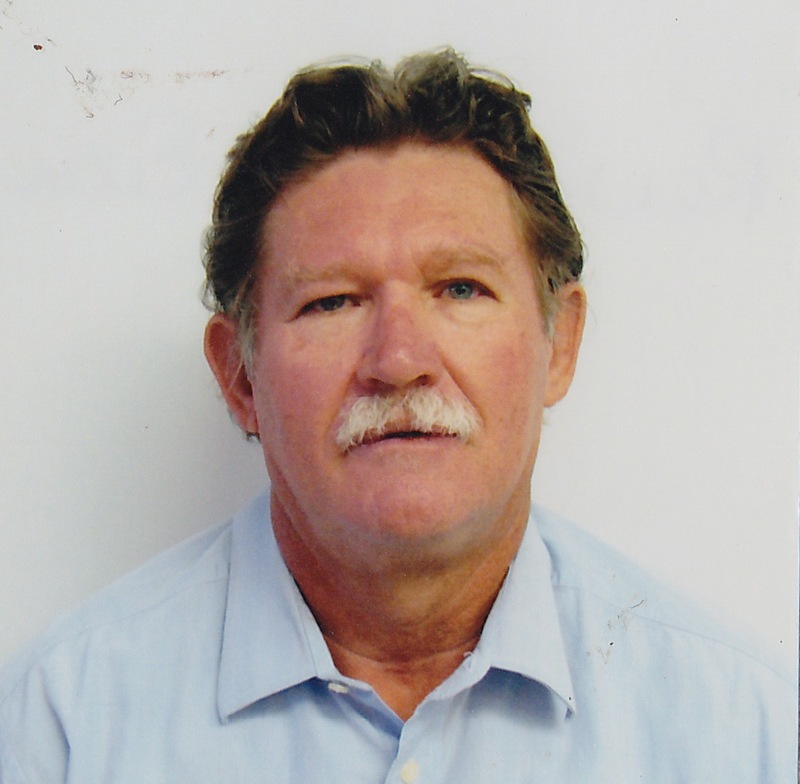 He is a community minded leader having served for two terms as Chief Counsel for Local Government in Northern Abaco. Rev. Norris is gifted in the area of teaching as he taught bible study for twenty nine years. He believes in the learning process having attended the Assemblies of God Bible College in Abaco. He is married to Mrs. Beryl Norris and they have two children and six wonderful grand children. Rev. Norris life vision and mission statement and intertwined in Galatians 2:20 " I have been crucified with Christ and I no longer live, but Christ lives in me the life I now live in the body, I live by faith in the son of God". Rev. Patrick Paul was born to Mr. and Mrs. Leroy Paul and is the fourth child of thirteen. From a very young child he faced an uphill battle with a speech impediment, which kept him out school during his early formative years. In the early eighties he received Jesus Christ as Savior and Lord. It was perseverance that kept him working during the day and furthering his education at night, pursuing theological studies at The Assemblies of God Bible College and the Caribbean School of Theology, where he obtained a Diploma and Bachelors Degree in Theology. Rev. Paul also attained a Masters Degree in Biblical Studies from Global University. He has accepted the mandate of God to be a catalyst for change. He believes that the current, relevant, transcending Word of God is the only true and lasting hope for a dysfunctional generation and has committed his life to be a voice for social and spiritual transformation. He is determined to pass a healthy legacy on to the next generation. In recognition of the leadership qualities and the hand of God upon this servant of God, Rev. Paul was elected Vice President of the Caribbean Fellowship of the Assemblies of God Executives (CFAGE) in January 2006 and President of the Bahamas Christian Council in April 2008. Rev. Paul is often sought after as a Conference and Special Services Speaker for his keen insight into the Scriptures and his ability to exegete the Word of God. His passion to deliver the Word is confirmed by the anointing of God that brings conviction and commands change. Rev. Paul is married to the former Charlene Rozetta Miller and this union has been blessed with three (3) lovely children, one granddaughter and a son in law. Rev. 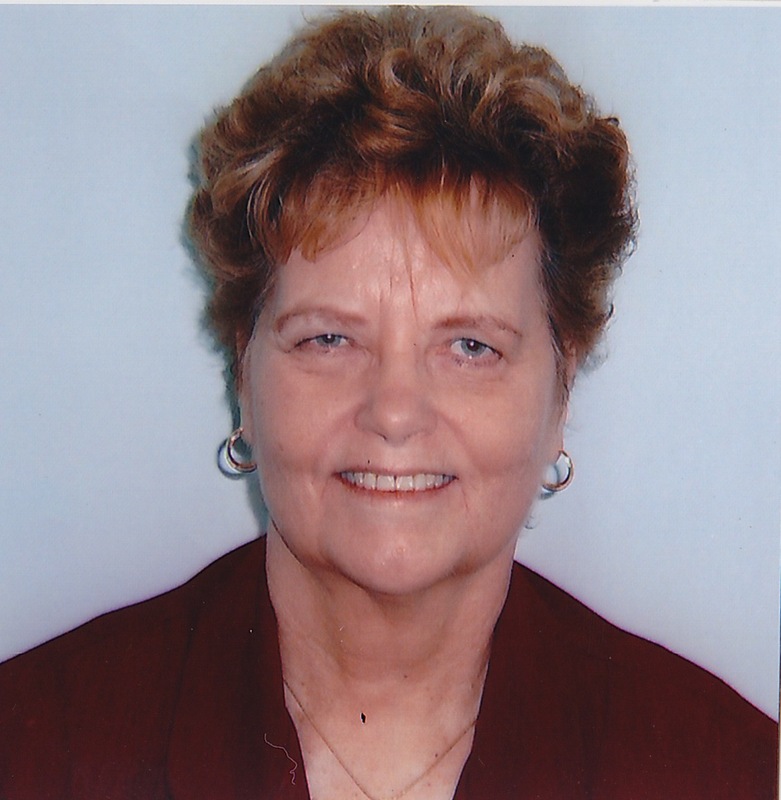 Louise Rigby has served in ministry for more than thirty seven years. She has served in every area of ministry in particular evangelism, teaching, children's church and director of Sunday school. Her journey and experience began at Golden Gates Assembly and Rhema Assemblies of God. She has served in the areas of women's ministry , junior and children's church. She believes in the process of learning and has embraced every opportunity to further herself in ministry by attending the Assemblies of God Bible College. It is her vision to evangelize until Jesus comes or the Lord calls her home. As it is her mandate to go into all the world and preach the gospel. She is married to Reginald Rigby and they have been married for fourty four years and this union is blessed with three children and four grandchildren. A wife, a mother, a grandmother, a Pastor, a Teacher, a friend and a counselor, not forgetting the fact that she is a children's worker, worked as a legal secretary, served as a Lay Magistrate also a Justice of the peace. She served as the National Secretary to the Assemblies of God in the Bahamas including the Turks and Caicos Islands a position she held for 18 years. She holds a Bachelors of Art Degree in Religious Education with Global University and was named Secretary of the year 1973. Rev. Russell was ordained as an Assemblies of God minister in 1987. She obtained her appointment as a marriage officer in 1988. She serves as the Pastor of Glad Tidings Tabernacle, Kemp Road. She received a Leadership Global Award from International Third World Leaders Association November 2002 Bahamas Faith Ministries and special recognition by Kemp Road Ministries for Community Services in February of 2003. Rev. Irene Russell was born on the Island of Eleuthera in the settlement of Rock Sound, Eleuthera on October 15th, 1935. She met and married Walter Russell March 5th, 1953. She is the proud mother of two daughters and one son, namely Sherrie, Julie & Walter Jr. and a happy grand mother with six (6) grandchildren. Following in the footsteps of his parents, Rev. Donald and Evelyn Sands, his life has been intensely focused on serving in various capacities of ministry since the age of 12. As a teenager, he served as a Sunday School Teacher and worked in Children's Church at Golden Gates Assembly of God and in the Wednesday Evening Children's Club at Evangelistic Temple. He also served twice as the Children's Camp speaker during this time. While attending college at Trinity Bible College in Ellendale, ND earning his BA in BIble/Theology with a minor in Christian Education, he continued to do Children's Ministry in various churches in the North and South Dakota Regions. After returning from college as a married man in 1984, he served as Children's Pastor, School Teacher, Assistant Principal, and Instructor at Pneuma Bible Institute for two years. He values the lessons he learned serving under the Reverend Earnest Deloach. A move was made to Abaco in 1986, where he worked for two years pioneering a church in Spring City. He was ordained in 1987 and elected as the National Sunday School Director in 1988. In 1987, he also served as the Youth Camp Director. A move was made to Grand Bahamas in 1990. This was done to make accommodations for necessary physical therapy needed by his son. In the fall of that same year, he assumed the position as the Interim Pastor at Abundant Life Assembly. Ending his tenure at the church in the Spring of 1992, he became the ICI Director in addition to continuing to serve as the National Sunday School Director. It became necessary in the summer of 1993 for his departure from the Bahamas so that his son could receive necessary medical care for his heart condition. Seven years were spent in Texas and eleven years in Springfield, MO. He served in various capacities at ICI University/Global University, Decatur Assembly of God, Saginaw Assembly of God, King's Chapel, the Assemblies of God Christian Schools, and David Lewis Ministries. While in the USA, he also served in capacities as Sunday School Director, Youth Director, Assistant Pastor, Royal Ranger Leader, Principal/teacher, Children's Church Director, Cell Group Leader, leader and trainer and administrator in Scouting. He also took classes at the Assemblies of God Graduate School. Since returning to the Bahamas in 2011, he has been ministering in various Assembly of God churches, serving as the District Sunday School Director, and most recently, he has assumed the administration of the Abaco Bible Institute, where he also teaches. Rev Donald Sands has served in ministry for sixty six years he has always had a love for the mission field and therefore he dedicated most of his life's ministry to evangelism. He served at Cherokee Sound Assembly and First Assembly where he assisted in community outreach. Rev. Sands attended Bible College in Florida and Los Angeles where he was able to sharpen hi ministerial skills. He is married to Evelyn Candice Sands (deceased) and they were some of the first pioneers of the Abaco Youth Camp. Their union has been blessed with three children and six grandchildren. Rev. Sands believes that it is his outlook on life and ministry that has kept him all these years; it is his personal vision that "All things work together for the good of them that love God and to them that are called according to his purpose" (Romans 8: 28). The embodiment of the Bahamian dream, Tyrone L. Sands was born January 8, 1957, to Ms. Myrtle Leary of Rock Sound, Eleuthera. He passed through the corridors of St. Annes's Catholic School, Rock Sound All-Age School, Preston H. Albury High School, Rock Sound, Eleuthera and the College of the Bahamas. In 1973, during an old-fashioned revival meeting at Faith Tabernacle, Assemblies of God, Rock Sound, Eleuthera, Tyrone had a personal encounter with Jesus Christ. His spiritual life was enriched by Godly council from spiritual Patriarchs as the late Bishop Herbert Sands, founder of Full Gospel House of God, Palmetto Point, Eleuthera, and the late Rev. Richard B. Sands, founder of Evangelistic Centre, Assemblies of God, Vesey Street and Matriarch the late Evangelist Rev. Marion Jolly, Pastor of Mt. Olive Tabernacle, Assemblies of God, Wemyss Bight, Eleuthera. In 1979 he joined the Bahamas Customs Department as a Trainee Customs Officer and has moved through the ranks to Chief Customs Officer. He served the Customs Department on the islands of Andros, San Salvador and Eleuthera. Rev. Sands entered the doors of Evangelistic Centre, Vesey Street and Baillou Hill Rd. in 1977 during the tenure of Rev. Richard B. Sands. He served in the capacity of Deacon and Chairman of the Board, Sunday School Teacher, Usher and Chairman of the Board, Sanctuary Choir Director and Church Administrator. From 1999 -2004, he served as Associate Pastor under the leadership of Senior Pastor Rev. Cyril C. Sands. In March 2004, he took up the mantle and became the Senior Pastor of Evangelistic Centre. He was ordained to the Gospel Ministry in June 2004, during a Solemn Assembly at Evangelistic Temple, Collins Avenue. In July 2005, under the leading and guiding of the Holy Ghost, he founded and established True Worshippers Assembly, Assemblies of God. He brings zeal, energy and vision to his congregation. Rev. Sands is married to the former Virnetta Curtis of Green Castle, Eleuthera and they are blessed with three sons, Dr. Jason, Sherado and Shamar, one daughter Sherea, one daughter-in-law Natalie and two grandchildren Zion and Zarah. Rev. Stafford M. Symonette was born March 24th ,1950 at Providenciales Island, Turks & Caicos Islands. He is married to Minister Lucy Symonette and this union is blessed with three children Camille, Cramston , Cara and one daughter in law Calea. Pastor Symonette served as youth pastor of First Assembly in Marsh Harbour Abaco. He served as Assistant Superintendent of the Assemblies of God for twelve (12) years and General Presbyter for eight (8) years.. He is an active member of the American Association of Christian Counselors. He is the founding pastor of Full Gospel Assembly Treasure Cay Abaco from 1999 and in October of this year he retired. He presently serves as the Camp Abaco Diector. Pastor Eddie Victor has been in ministry for almost 20 years. He received his Bible School training with the Assemblies of God Bible College Grand Bahama and Global University. His passion for the Lord began in Evangelism and missions. Pastor Victor was ordained to the Gospel Ministry in March 2002, and subsequently installed as the Pastor of Living Waters Assembly of God in Freeport, Bahamas. In 2010 He was elected as Vice-President for the Grand Bahama Christian Council. He is married to Pastor Margo Victor, and their union in marriage is blessed with three children, Aaron, Joel, and Abigail. Pastor Victor was the National Missions Director for The Assemblies of God in The Bahamas, including The Turks & Caicos, for two terms. He is presently the National Treasurer for The Assemblies of God, and has held this position for over seven years. Pastor Eddie Victor has traveled the Bahama Islands, Turks and Caicos Islands, USA and Nairobi Kenya preaching and evangelizing for the Kingdom of God. Pastor Margo Victor has worked in ministry for more than 20 years. After receiving a Bachelor's of Science Degree in Marketing at Barry University, in Miami Florida, in 1987, she returned home and pursued a double career: one in Marketing and one in Ministry. She has been actively involved in Evangelism training throughout the years, having trained over 300 persons how to effectively share the gospel. She has done multi-level ministry having hosted Christian radio talk shows that aired in the Bahamas and South Florida; coordinated Missions trips; and traveled throughout the Bahamas and Turks & Caicos doing Summer Missions. She was ordained to the Gospel Ministry in March 2002, and has done several courses for credit with Pneuma Bible Institute, the Assemblies of God Bible School in Freeport. Margo Victor is the National Sunday School Director for the Assemblies of God in The Bahamas, including the Turks & Caicos, and has held that position since 2004. She is an author, intercessor, Christian Education Teacher at her church, PTA Chaplain at Walter Parker Primary School, and conference speaker. Her first book is titled, "One Day, - Discover the Significant Days of Your Life." She also produced a Christmas piece, a book and CD collection titled, "This is Christmas," demonstrating the timeless truth of the purpose of Jesus' birth. Readers enjoy Pastor Margo's skillful demonstration of revelation based on sound doctrine that is fresh for this generation. Her writing provokes spiritual change and renewed zeal that transforms the whole person. She is the Business Manager at San Jose Construction and Acacia Groves Investments, spearheading the development of residential communities in Freeport, Bahamas. Pastor Margo Victor is the Assistant Pastor to her husband Rev. Eddie Victor. Their union in marriage is blessed with three beautiful children, Aaron, Joel, and Abigail. For over 28 years Pastor Erksine Wells has been involved in ministry in various capacities through out the community and has been pastoring Sandy Point Assembly for the past eleven years. He is a former Principal of Harbour Island All Age and Sandy Point All Age School. Rev. Wells did his formal training at Trinity Bible College and San Salvador Teacher Training College. He holds a Bachelor's Degree in Religious Studies as he enjoys studying and teaching the word of God. Pastor Wells is called to equip and empower the saints of God. It is his desire to see the salvation of our nation and to reach the unlovable. God has blessed him with a beautiful family his wife Mrs. Virginia Wells four children and two wonderful grand children. Pastor Erksine Wells believes that the love of God covers a multitude of sins and that we reach people through the Fathers love.